Just sharing a fun little card with you today. It’s quick and easy and perfect for so many different occasions. The lattice background and flower stamps are both from Hero Arts. I’ve had them for a long time, so they may not be available any longer. But check out their website, they have great stamps and other products! To make the card, stamp the lattice background on patterned card stock with orange ink and layer the panel to orange card stock. Attach a piece of grosgrain ribbon and tie it with a piece of twine. Attach the panel to a white card. 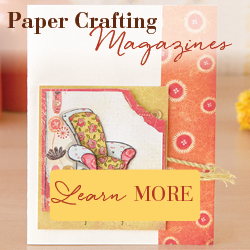 Punch a scalloped circle from orange card stock, ink the edges with orange ink, and attach to the card. Stamp the flower with orange ink on white card stock, ink the edges with orange ink, and attach to the scalloped circle with foam tape. Add a tiny button to the center of the flower.